On Aug. 1, longtime Neepawa business Harris Pharmacy changed hands. 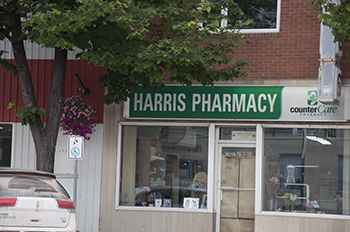 The pharmacy was sold by the Harris family to employee Heather Todoruk. 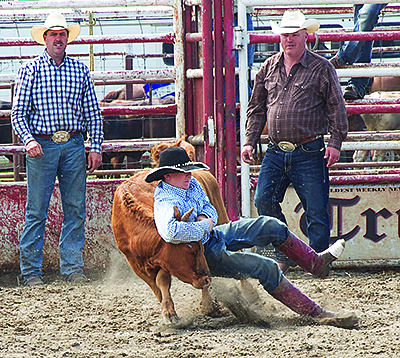 Cooper Millward, from Garland, wrestles a steer to a standstill in the junior high chute dogging at the Minnedosa High School Rodeo last weekend. Check out this cool video on YouTube of D'silva Ryos displaying his soccer skills! The driver of a vehicle who struck three pedestrians close to the entrance of Rockin’ the Fields in Minnedosa has been charged with impaired/drive over .08 causing death, impaired/drive over .08 causing bodily harm and two counts of failing to remain at the scene of an accident.